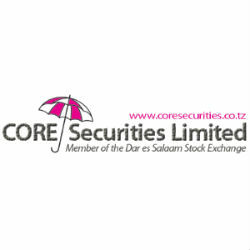 According to the Weekly Market Report of the trading week ending on 21st February, 2014 issued by CORE Securities, named East Africa Best Advisory Brokerage by Capital Finance International, the Dar Es Salaam Stock Exchange total turnover increased by +161% to 948.41 million from 363.15 million the previous week. Both local and foreign investors participated in the market. Foreign Investors participated by 19.28% while Local Investors by 80.72%. On Friday 21st February 2014 the DSEI (ASI) closed at 1,901.44 (-1.91%), TSI Closed at 2,918.80 (+0.96%), IA closed at 3,469.08 (+0.66%) and BI Closed at 2,634.56 (+1.62%) points in comparison to previous week. Most of activities were seen on TBL & CRDB counters. Last Treasury Bills auction was done on 12th February 2014 with a total of 46 successful bids for a value of 241,435.10 million. A seven year T-bond worth 2.25 and a ten year T-bond worth 5.1 billion were recorded in secondary market. On Friday 21st February 2014 Closing Spot gold Price was up by +3.96% to 2.147 million per ounce (1 ounce = 31.10 grams). On the week close Friday 21st February 1USD=TZS1,619.62. The annual headline inflation rate for the month of January 2014 increased to 6.0% from 5.6% in the previous month (Decembre 2013).